The problem crops up almost every time there's a big breaking news story: People post videos full of misinformation on YouTube. Whether the "fake news" makers are trying to spread propaganda, or just make a quick buck, the effect is the same: The videos end up confusing users who just want accurate information. Now YouTube says it's taking action against this kind of exploitation of breaking news situations. 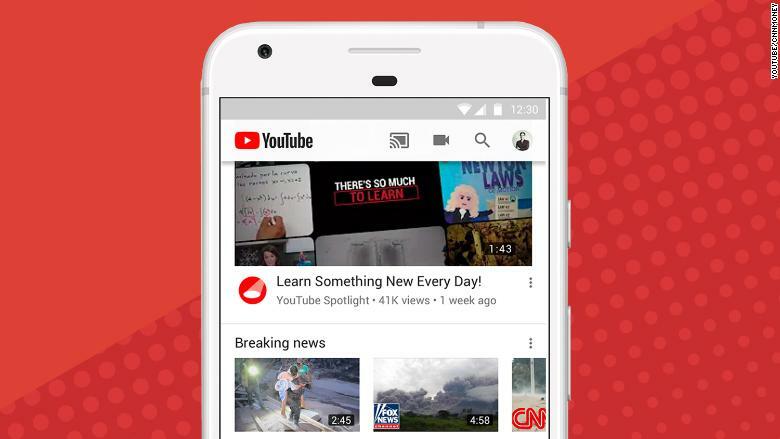 "We're making changes to put more authoritative content in front of people," YouTube chief product officer Neal Mohan told reporters on Monday. At a press event in New York, the world's biggest video website outlined a number of improvements and investments, all designed to show that it is an ally of news publishers. Reporters at the event expressed skepticism about how YouTube determines what's "authoritative." But some of the changes are promising. Mohan said YouTube's recommendation engine has been tweaked so that news-related searches will show results from more reliable outlets. He acknowledged the problems that have cropped up in the wake of school shootings and other tragedies, when videos full of conspiracy theories and other nonsense were served up to unsuspecting viewers. "It's very easy to quickly produce and upload low-quality videos spreading misinformation around a developing news event," he said. It's harder to produce accurate and informative videos in the same time frame, so something Mohan called "a new information panel" will appear at the top of search results around developing news stories. "It's activated in the immediate aftermath of the event," he said. Rather than recommending a video first, the algorithm will point to a text-based story surfaced by Google News. Results will be accompanied by a label reminding users that the story is still developing, and the info is "subject to change." Mohan said the new features are in effect in 17 countries, including the US, and "we're looking to double that number in the coming months." Other topics that are targets of misinformation peddlers -- like the moon landing, for instance -- will see an increase in related links to sources like Wikipedia and Encyclopedia Britannia. The idea is to surround conspiracy-laden videos with accurate information. 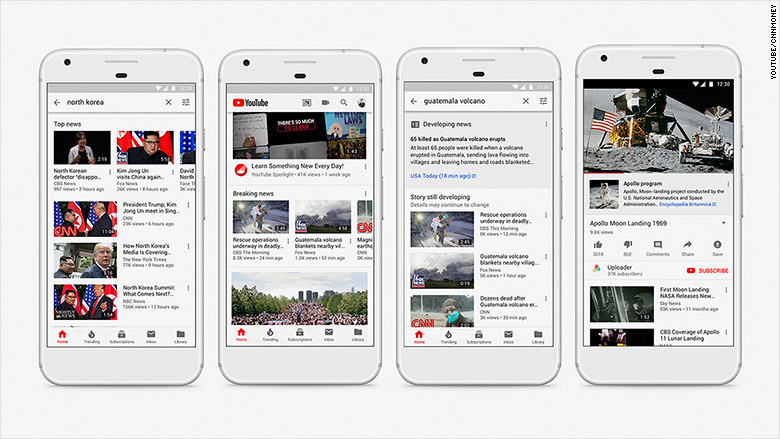 The efforts are a part of the $300 million, three-year Google News Initiative by YouTube's parent company. YouTube says $25 million will be spent on "innovation funding" grants for news organizations and for more support staff at the company. Robert Kyncl, YouTube's chief business officer, said YouTube isn't trying to fund specific news coverage -- rather, the grants are about seeding "long-term sustainable skills" for web video. Kyncl also announced a "working group" for YouTube executives and representatives of news outlets to "help us shape the future of news on YouTube." The collaboration speaks to the publishing industry's increasing dependence on tech giants like Google. These relationships are a source of revenue, but also resentment and profound concern about the future of distribution.